As any voracious reader knows, there are so many books out there, it can be hard to choose just what to read next. So what could be better than a hand-picked recommendation from someone in the know? Every Wednesday the XOXOAD team likes to find out what some of its favorite authors are reading. To that end, we’ve asked Tracy McMillan, author of Multiple Listings, to tell us what she’s been burying her nose in these days! Well, for starters, the Internet. I am a mad devourer of journalism – I worked in television news as a writer and producer for 16 years – so for at least some part of each day I am deep in the New York Times, or the New Yorker, or The Atlantic Monthly, to name a few. I am the queen of the open tabs on Chrome. At any given time I’ve got a dozen or more going – I decide what to read based on my mood and how much time I have. But I read books, too. 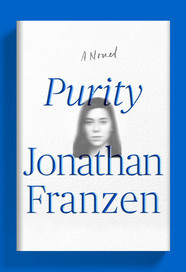 I just finished Purity by Jonathan Franzen. I love him for his psychological insights and the way he understands and deconstructs the (dysfunctional) family. He’s also seriously funny. I enjoyed Purity for its interlocking stories – there was one especially clever moment that was exhilarating enough to propel me to the end of the book – but for me it didn’t surpass The Corrections, which I loved-loved. 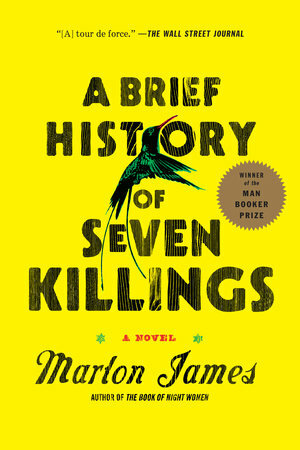 On my night table right now is the Marlon James book A Brief History of Seven Killings. I picked it up because my son, who is a college freshman, will be reading it at a writer’s workshop he’s attending this summer. I’d heard a lot about the book and figured I might as well have something to say on the off chance he decides to venture into a conversation with me about it – or anything else, for that matter! 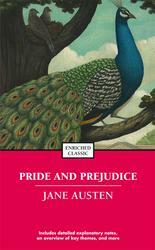 I also just finished reading Pride and Prejudice by Jane Austen. I’m a television writer by day and I’m adapting the book as a movie for Lifetime – set in contemporary Atlanta. Sadly, I had never read it before! As a person who writes a lot about relationships, it was fascinating to realize that, aside from the end primogeniture, not all that much has changed when it comes to men, women and marriage. 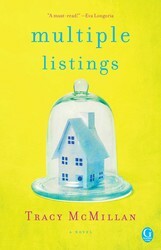 MULTIPLE LISTINGS is available now in hardcover and eBook from Gallery Books! Young Pip Tyler doesn't know who she is. She knows that her real name is Purity, that she's saddled with $130,000 in student debt, that she's squatting with anarchists in Oakland, and that her relationship with her mother--her only family--is hazardous. But she doesn't have a clue who her father is, why her mother chose to live as a recluse with an invented name, or how she'll ever have a normal life. Enter the Germans. A glancing encounter with a German peace activist leads Pip to an internship in South America with The Sunlight Project, an organization that traffics in all the secrets of the world--including, Pip hopes, the secret of her origins. TSP is the brainchild of Andreas Wolf, a charismatic provocateur who rose to fame in the chaos following the fall of the Berlin Wall. Now on the lam in Bolivia, Andreas is drawn to Pip for reasons she doesn't understand, and the intensity of her response to him upends her conventional ideas of right and wrong. Purity is a grand story of youthful idealism, extreme fidelity, and murder. From the acclaimed author of The Book of Night Women comes a “musical, electric, fantastically profane” (The New York Times) epic that explores the tumultuous world of Jamaica over the past three decades. Jane Austen's lively, humorous, and ultimately timeless tale of proper English society, unspoken intentions, and true love finally found.